Seven pups born 1/17/13. All pups are spoken for. 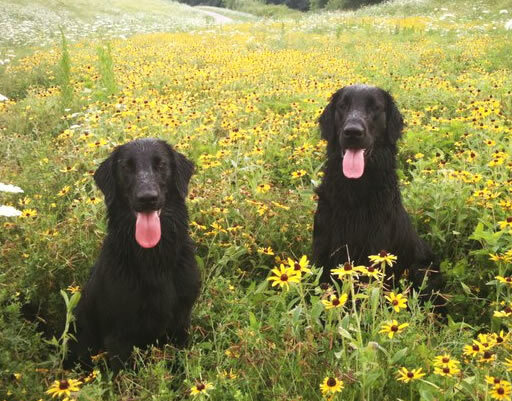 An intriguing outcross brimming with longevity and talent, this pairing promises multi-talented pups especially well suited to performance and gundog endeavors. All puppies will be black, some may carry liver. Preference given to active homes. Email inquiries invited, and farm visits encouraged. A pup's life at Flyway Farm. A little bit country and a whole lot rock n' roll, Boy Wonder is a soulful and intuitive chap with an Iggy Pop caliber lust for life. From hunting trips, to errand runs, to lazy Sunday afternoons on the couch, my staunch co-pilot ensures every day is memorable. Boy's enthusiam and team player attitude are especially well capitalized on in the field where he is a high roller with both talent and trainability. His accomplishments include an all-breed derby JAM, a Specialty Qualifying JAM, two SS JAMs, senior and master passes. 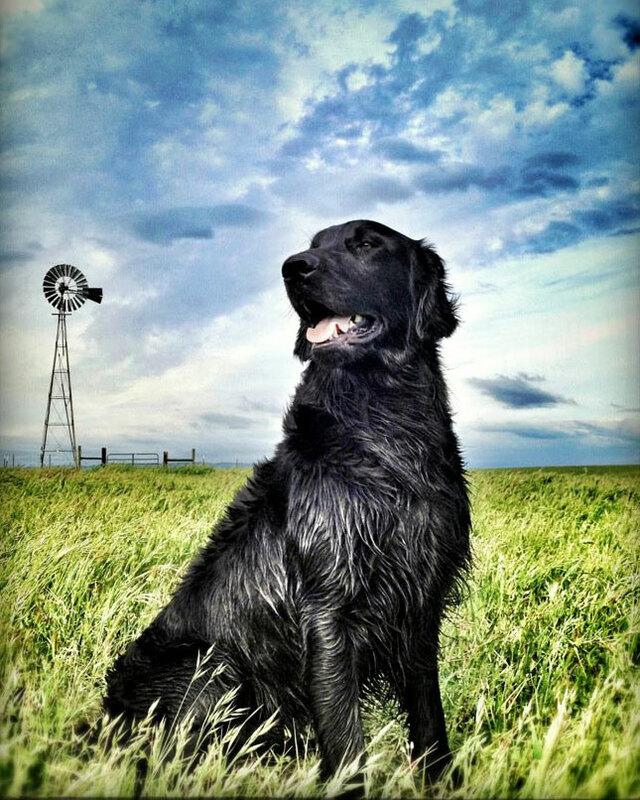 We hope to complete his Master Hunter title and embark on an all-breed qualifying career in 2013. 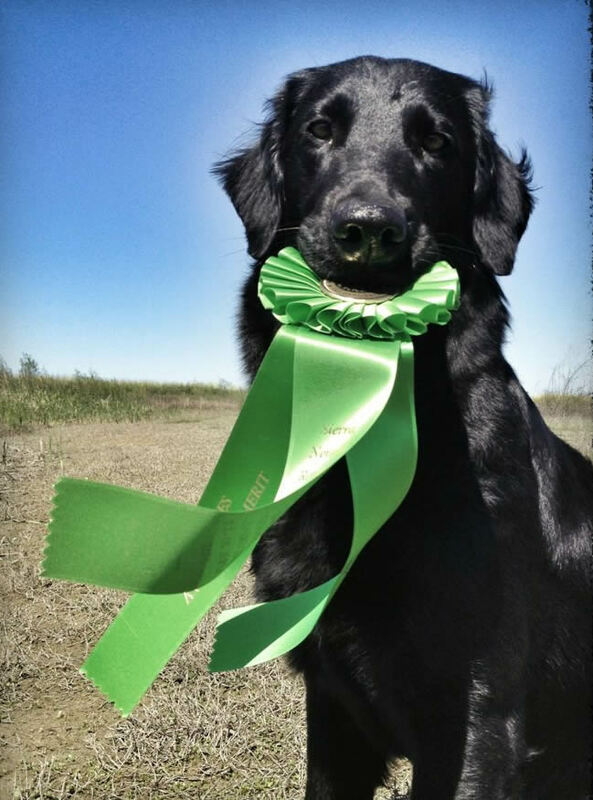 Though Boy's first passion is for the field, he has also done well living up to the show legacy of his sire, Jet, a Crufts Best in Show winner and the top winning UK Flat-coat of all time. Finishing in very limited showing including a 5 pt. Best of Breed major under Judge Faulkner, Boy went on to earn a 5 pt. BOB Grand Champion major later that same weekend. Beauty, brains, talent, heart, and temperament, Boy is the complete package, and we hope his puppies follow in his pawsteps. Read more about Boy Wonder. 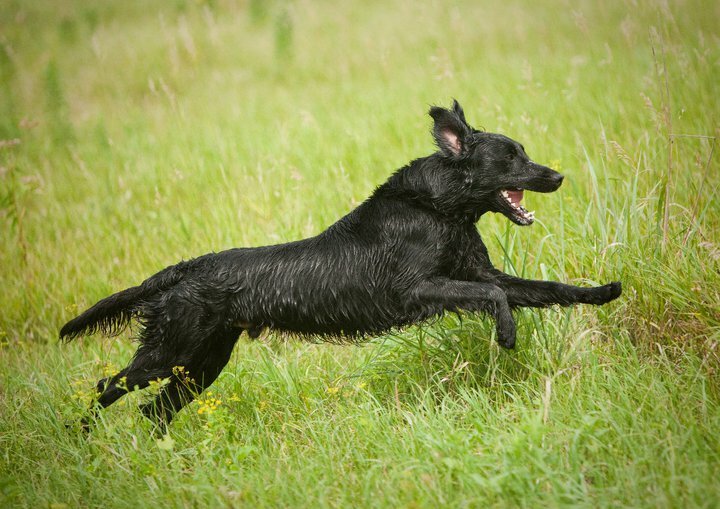 A perpetual full-body wag is but a glimmer of the enthusiasm and joie de vivre Minnow seeks to share with her ever-growing entourage. Having never known a bad day, Minnow approaches life with a keen eagerness and supremely positive attitude. Coupled with her bombproof temperament, Minnow's lively spirit makes her a wonderfully adaptable companion, yet shines brightest in the field. An absolute joy to train, Minnow boasts an ideal balance of bold drive and willing biddability, and has the intelligence, deadly marking talents, and superb water attitude to make her a veritable contender. With very limited campaigning, Minnow has earned an all-breed derby JAM, an SS JAM, a WC and WCX, and a Senior Hunter. We plan to pursue her Master title and run all-breed qualifyings following this litter. Though the field has distracted us from showing, Minnow is both sound and typey. With a compact and athletic build measuring 21.5" at the withers, Minnow's lovely balance and angulation support fluid and precise movement. A substantial front, level topline and a super typey head complete the package. She has a lighter eye, and could use a touch more sholder layback. 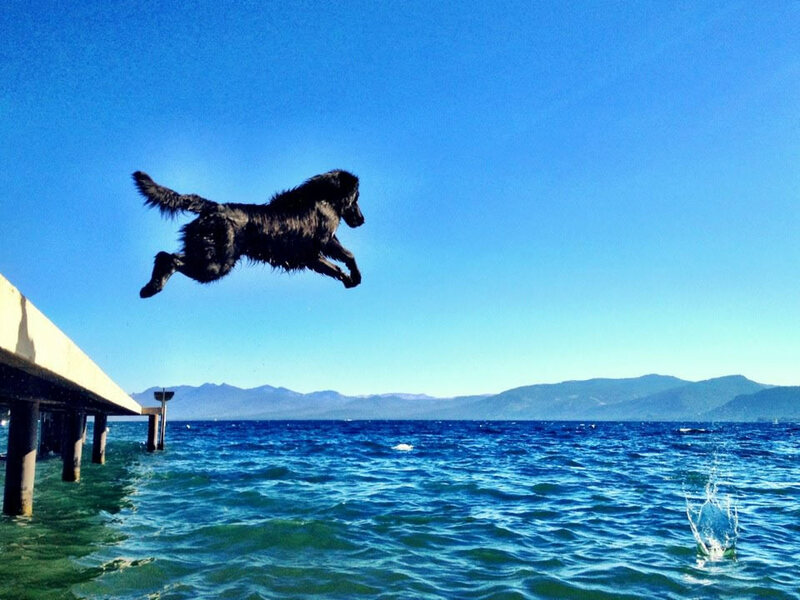 Perhaps the funnest dog to have graced the farm, we hope Minnow's puppies inherit her irrepressible joie de vivre, "can-do" attitude, dynamism, and sound and athletic structure and movement. Read more about Minnow.